One of the best IPAs I've ever had in a bottle maybe the luckiest. My friend Tron and I hit Belmont Station, one of Portland's best selections for micro-brews in a bottle, to grab a sixer to bring to a poker tournament friend reunion. Ballast Point - Sculpin was one of the most expensive six-packs I've seen in the cheap beer heaven of Portlandia at about $16. Tron said he'd tried it once and it was really good, but we saw the price and almost dismissed it. 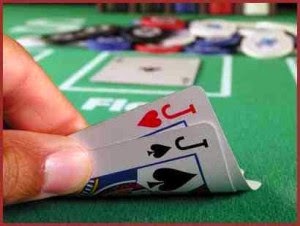 Then he pointed out that it'd probably bring us luck at the tables. 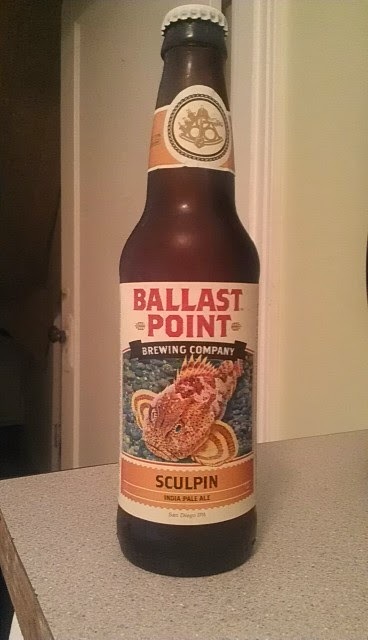 I mean its called the Sculpin, and the art on the label is dope. So we went with it. This is every thing an IPA should be. Very hoppy, without bitterness, literally no bitterness or bad lingering aftertaste at all. And the kicker, we split 1st and 2nd place in the tournament (well I haggled my way into us splitting it 45%/45% and playing one last hand for the last 10% of the pot, which he won). Dylan rating: 10 out of 10 bottles. Overall synopsis: The Sculpin has earned its place as my official beer for poker games in Portland. I've tried the Sculpin, glad I'm not the only one that over paid. I think it's a great beer but to me it's still overly malty. I highly recommend the Lagunitas Maximus as the go to IPA! Oh man I've really been enjoying this IPA. It packs as whallop weighing in at 8.2% abv!!! It's cheaper than Sculpin too boot. It's highly bitter but it comes without the overly malty metallic flavor. Seriously try this beer and let me know what you think. I have only tried two Lagunitas, their Lil Sumpin & their regular IPA. I know a lot of people that love them. I don't. I don't mind bitter, but I don't like a bitter lingering aftertaste. Both of the ones I tried left a bad taste in my mouth, pun intended. HOWEVER, since you were kind enough to leave a recommendation for me I will not only give Maximus a try with an open mind but I will also write up a review for it.